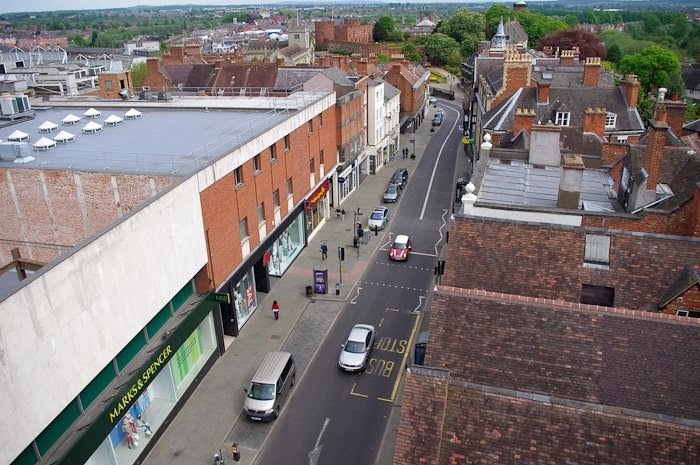 Barclays at the top of Castle Street, Shrewsbury was visible from the Rat Run, and from the roof of Burger King. 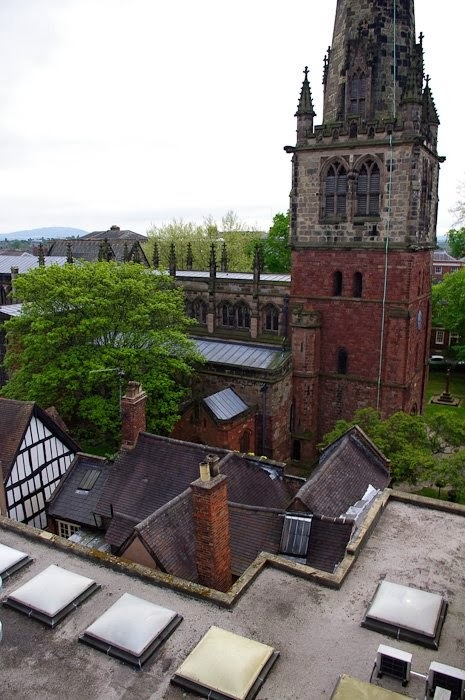 It is the highest point in Shrewsbury that's accessible via ladder up the exterior. 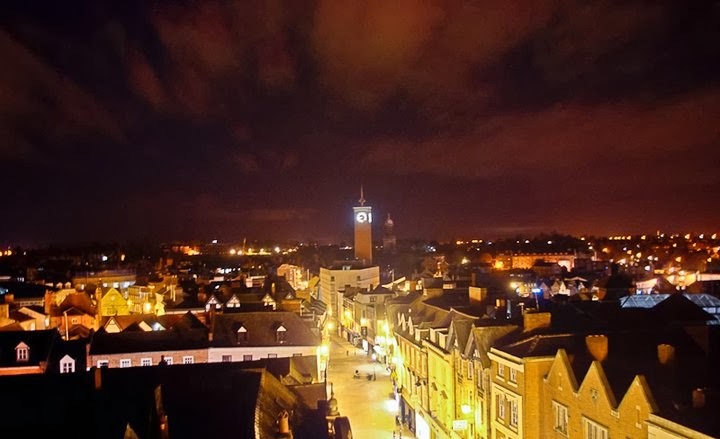 Of course, the clock tower and the churches beat it in terms of height but at the time everyone was talking about how back in the day people got stoned on the roof of Barclays. As a result, a big metal gate and some cuddly razor wire was put in place to stop this from happening, but I figured that if once past the gate, the route was easy enough for a bunch of idiot teenagers, then it would be easy for me and my group, assuming we could get past the big metal gate and razor wire. And let's face it, this is us I'm talking about. Of course we got round it! Note- The group I explore with have a strict policy of leaving everything as it was, not vandalizing or stealing, and not exploring or violating any residential properties, nor do we force entry, merely utilize existing openings.Any entry on the blog that does detail a means of access does so under the assumption that the means of access can no longer be reached. Never would we reveal an existing opening over the internet, for fear of negative consequences against the property and people. The View- Click a picture to see it big. Of course there's more... not real rooftop expansion to speak of, but a delicious mystery that was uncovered. A doorway was discovered during the means of bypassing the big metal gate and razor wire. The doorway was open and led to some fun looking stairs that led down into the ground in the direction of Castle Street. The resulting tunnel may even have led under Castle Street. We don't know. Either way it was open and led out for some time before getting blocked by a doorway only openable from the inside- no handle or lock were visible on the side we were on. 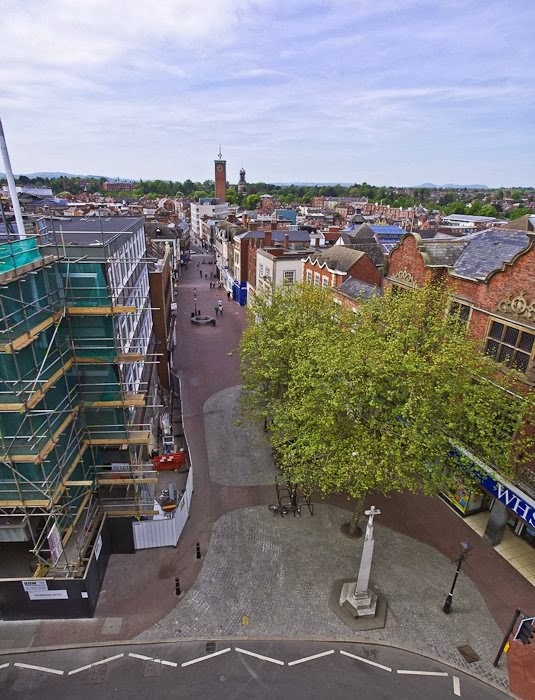 Now, Shrewsbury does have its myths about underground tunnels from years ago and rumour has it the Rat Run tunnels that go underground do connect to some of these, but we are currently without definitive proof. But if this tunnel leads out over under Castle Street, it just might connect to the Rat Run. But that's not the most intriguing part of this mystery. The style doesn't match the brickwork, and the words "Established 1896" can be made out on the top, But it's not a crest I recognise. The fact it looks like it was ripped off one wall and hung here where nobody but explorers will see it is also a mystery and one I'm open to information on if anyone wants to leave a comment. 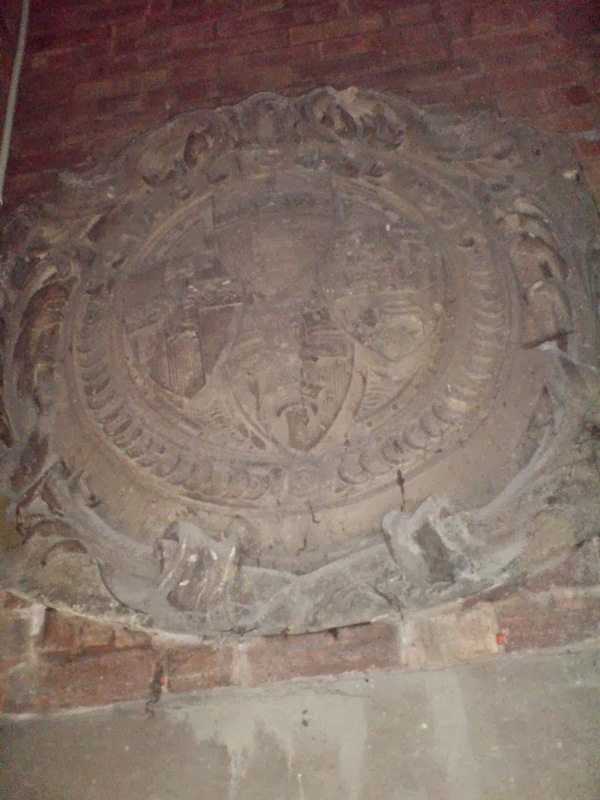 Edit 09/07/15- One reader has suggested that this could refer to the Marshals Temperance Hotel that was established around this time by Caroline Marshal, This is the building now commonly known as the Lucroft Hotel, and is considerably further down the road than this crest. However, since it doesn't match the brickwork, and Shrewsbury seems positively riddled with secret underground entrances to hotels and pubs from religious establishments and this crest is close to St Mary's Church, which did have underground tunnels going under what is now the Yorkshire House (All collapsed and blocked off now), maybe this has something to do with that.